It’s really that simple: support your local Folkmoot with your generous contributions – of money of course, but also of time, talent & energy! Financial contributions are welcome here. Sign up to be a volunteer here. Or stop by the Folkmoot Friendship Center, 112 Virginia Avenue in Waynesville, and chat with our friendly staff to see where you might best fit in! And here’s an idea you may not have considered before: Facebook users (and so many of us are, these days) can raise money on our own, among our friends, and have the money come directly to Folkmook by creating a special Facebook Fundraiser especially for Folkmoot! Click on the Facebook Fundraiser link to discover how easy that can be. Read more here about fundraising through Facebook. 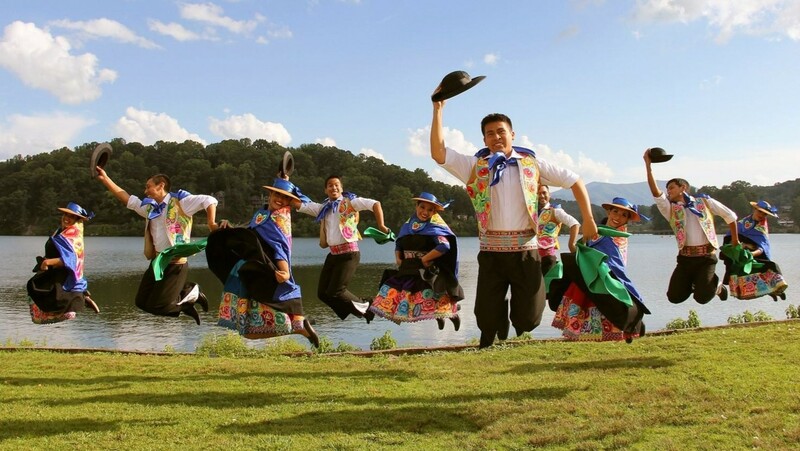 We’re grateful that over our 35 year history, Folkmoot has become Haywood County’s premier summer festival, North Carolina’s official international folk festival and one of the Southeastern United State’s biggest events, drawing thousands of visitors and attention to our beloved Smoky Mountains. None of this could have happened – nor continue to happen – without the generous support of our friends, family and Haywood County neighbors. A Danish visitor stopped by the Folkmoot Friendship Center recently. He was wondering why a small North Carolina mountain town would have a “folkmoot,” a gathering of the people. He said folkmoots in Denmark were established to put a community’s needs above ideological beliefs, so that the people in the community were connected and cared for. He was impressed that we practice this tradition: one where friends, neighbors and families assemble in fellowship to share folk dance and cultural heritage. His visit was a refreshing reminder of why we do this work. Folkmoot brings our community together. 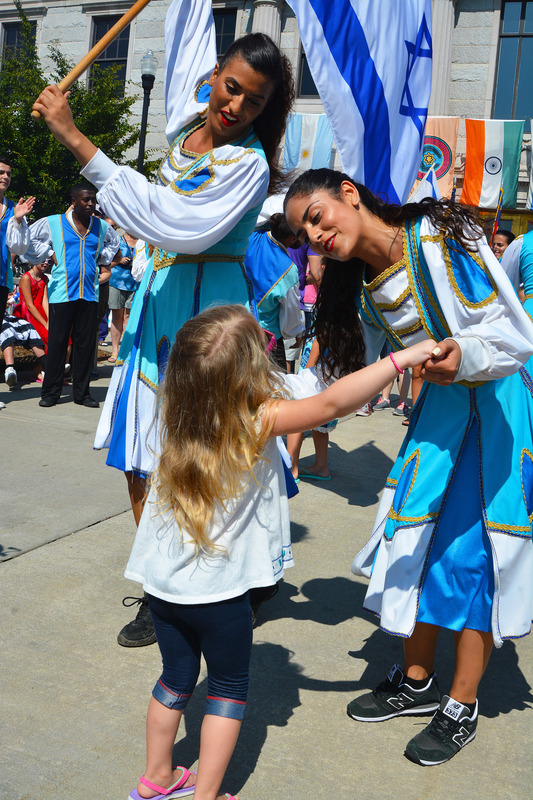 Both young and old look forward to the last two weeks in July – the opportunities to enjoy the diversity of many cultures and the coming together of one peaceful world in Western North Carolina. 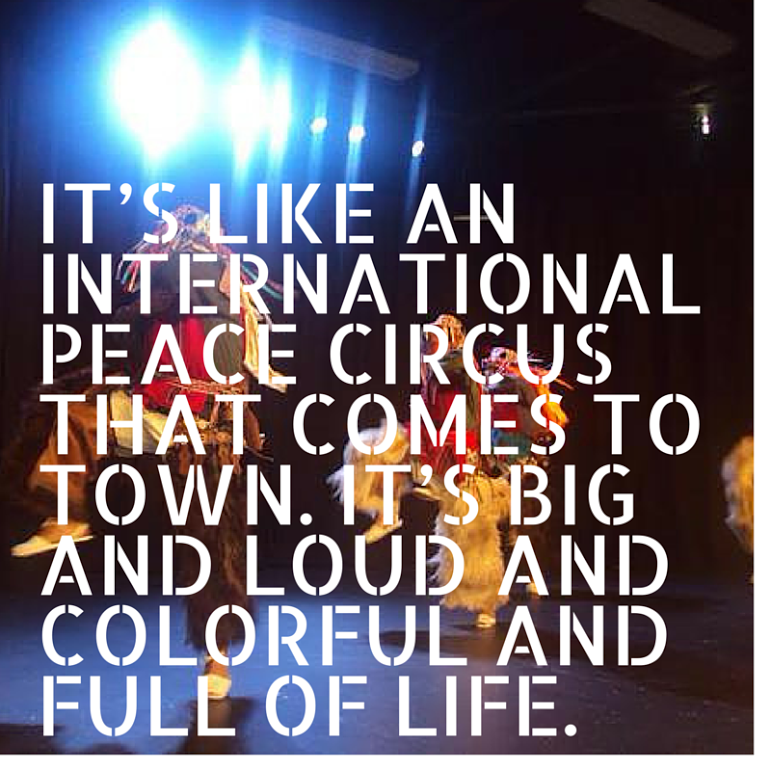 The Festival is a source of pride as we marvel at the unique experience we have helped create as Friends of Folkmoot. What do we need to continue this proud tradition? Your support. Housing, feeding and transporting 250 dancers and musicians is an expensive proposition. Grants and government funding are scarce. Ticket sales are just not enough. Folkmoot needs your generous donation to bridge the gap. To adequately fund the Festival this year, we need the help of every Friend. While all contributions are much appreciated, we ask you to join us in becoming a Century Club member by making an annual contribution of $1,000.00, which is just $85.00 per month. Also notice that you receive tickets to year-round programs at this level. Please consider a tax-deductible donation to Friends of Folkmoot today. Folkmoot appreciates your past support and thanks you for your continued investment in the Folkmoot community. With help from grantors and funds from increasing ticket sales, Folkmoot has produced 10 Friendship Dinners, including Eritrean, Serbian, Indian, Lunar New Year (5 countries), Scottish, German, African (6 countries), Russian and Cherokee events. Through a partnership with Western Carolina University faculty, Folkmoot’s educational programs have featured international language experts, professors of global politics, race and ethnicity,arts and culture. untold stories of regional culture and Cultural Crash Courses, a deep dive into global politics that we all see and are sometimes confounded by in the news. Year-round programs have attracted approximately 4,000 particpants to the Friendship Center. Folkmoot hosts an annual training before the festival for high-school and college students to prepare them to serve as guides for international groups. Topics include: global politics, cultural communications, teamwork, leadership, festival operations, stage management, emergency response, conflict resolution and inclusivity. Folkmoot receives more than 300 international group applications to participate in the festival. This number grows each year and we attribute this to global participation on social media. Folkmoot donors have supported the costs of repairs including re-roofing building A, replacing broken windows and inoperable toilets, fixing damaged pipes and replacing water damaged ceiling tiles, and painting and replastering classrooms. Through a generous donation from Rolf Kaufman, Folkmoot added a deck on the back of the center for group and communityhospitality. With help of Haywood Community College landscaping students, Folkmoot has improved the grounds around the building. 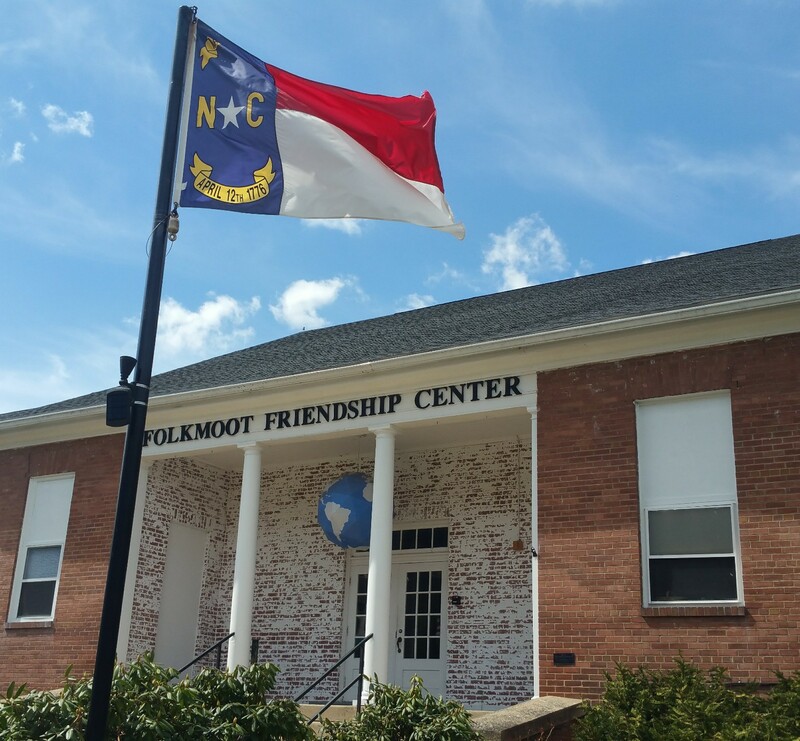 With the assistance of North Carolina State University students, Folkmoot added a large globe pendent at the front entrance of the building. The Mountain Heritage Center has partnered to develop educational niches in the Queen Auditorium. With assistance from donors, Folkmoot added a mezzanine and improved electrical inthis public space.